Bear Medicine Walker and Holly Raven Talker join Ann Marie for a magical hour of sage clearing guidance, readings and spirit. Catch the Autumn breeze to Ann Marie’s. 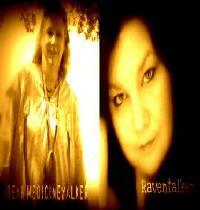 Bear and Raven have a popular radio show full of wisdom, guidance, laughter, and magic. Join for a Halloween Month festivity and get guidance, laughs and music. Join Ann Marie for a Harvest celebration with 2 charismatic women that will treat you with sage-friendly honor and warmth.